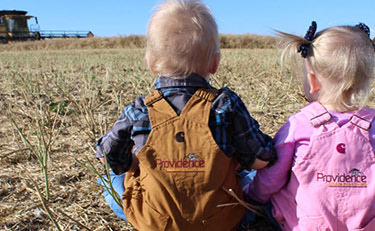 Providence Grain Group Inc. was established in 2002. We are one of the few producer owned agricultural commodity business in Canada. We offer grain drying, storage, off farm pickups, specialized marketing services, hedging, futures and options. Our shareholders are producers. This provides a solid foundation for the farmers who trust our expertise and rely on the solutions we provide at the field level, and for our buyers who are confident in our products and the service we provide. We know it because we grow it - it’s that simple. Each elevator location is a full service, primary elevator, licensed and bonded by the Canadian Grain Commission. Our employees are honest, ethical, and respected, which allows us to be the preferred Grain solutions provider. We hire, develop, and retain employees who are dedicated, talented, and unified in providing superior services and solutions to our customers. We embrace, reward, and encourage an enthusiastic entrepreneurial spirit that adopts and implements leading practices to better position our company for tomorrow. Our employees are aligned with the company's "Shared Values" and are accountable for their actions that ultimately drive the future growth and success of the company. To be recognized as the preferred Grain Solutions provider, centered on the principles of customer focus, honesty, excellence, potential and growth. 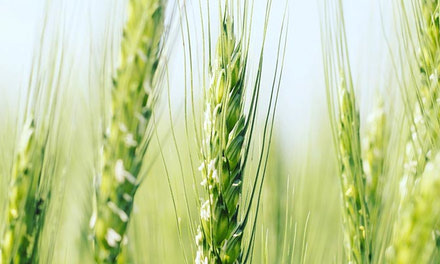 To be the most trustworthy, respected and effective Grain Solutions provider. We embrace local community values and are committed to our producers, end users and stakeholders alike. 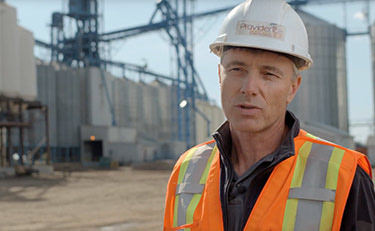 Providence Grain is present in geographically diverse markets, with operations concentrated in Canada and exporting to all over the world. We are committed to a safe and healthy work environment for all employees, sub-contractors, clients and the public at large. Our team is made up of individuals who are truly passionate about what they do. We work hard for our customers and strive to produce the best quality product.